The Milestone XT720 features a more ergonomic design than its predecessor. 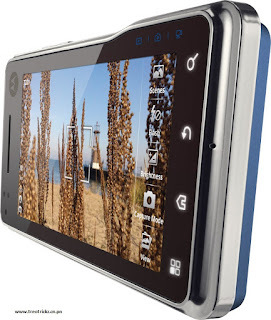 Its 3.7-inch high resolution touchscreen is delightful to work with. Although it is much slimmer than the original Milestone, the absence of a physical keypad aff ects usability negatively. As far as the UI is concerned, absolutely every kind of motion is a smooth as silk, and the widget screens are wide enough for you to pack in your apps. The processor lets you run all applications without any hiccups, and we were able to have four apps running simultaneously. This XT720 also does a great job in contact integration with Google. The 8 megapixel camera is great for outdoor photography, and it can also record HD video at 720p. The audio player is good enough to give the iPhone a run for its money, while the FM radio manages to catch clear signals. The XT720 features Wi-Fi b/g, Bluetooth 2.1, aGPRS, and 3G, and wireless connectivity is seamless. It also features great GPS functionality out of the box. Applications such as QuickOffice, Motonav, Moto Phone Portal,and a PDF reader are preloaded. One new software add-on is the magnifying glass for text fields. Essentially, it brings up a small magnified area above your thumb, showing you where your cursor is. The battery life of the XT720 is impressive. Its predecessor, the Milestone,did have issues with battery life, but that has been rectified here, with the battery lasting us close to a day with maximum usage. 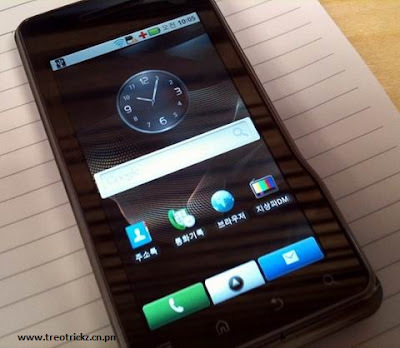 All in all, the Milestone XT720 is a joy to use and a great Android phone. The only issue with the phone is its extremely steep price point of Rs 27,490. Right now though, this is the standard price for most high-end Android phones.